Having served as a captain for two seasons with the Carleton University Ravens, based out of Canada’s capital region, Tawnya Guindon’s game blossomed under the values of strong leadership. Also equipped with a resilient determination and a perspective in which team success benefits everyone, these qualities have become essential. 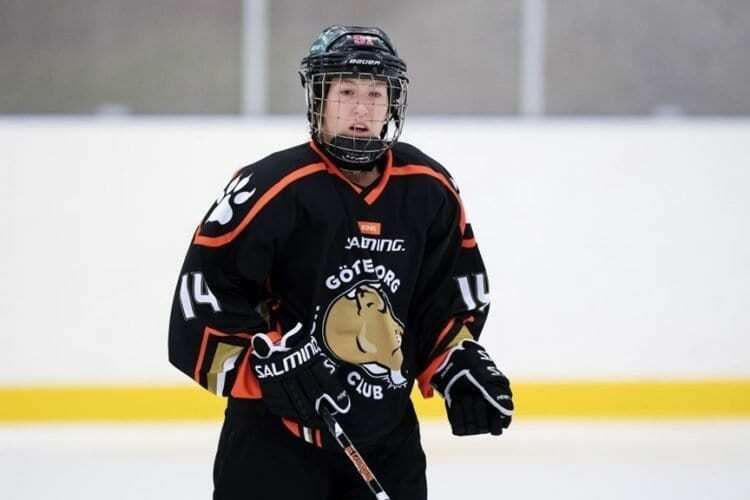 Enabling her to be an asset for any team that she plays for, Guindon is on the path towards a satisfying chapter in her hockey odyssey. Since her final game for the Ravens, the transition into professional athlete has transported the gregarious Guindon into a much larger world. Akin to so many Ravens alumnae, she has enjoyed a treasured opportunity to bring her skills to European play. In addition to Guindon, this most recent season in Europe resulted in other Ravens making their mark internationally. Delaney Ross, a former USPORTS All-Rookie selection called her sister a teammate in Poland, while Audrey-Ann Boutour, a veteran of play at the CBHA Nationals, graced the ice for Austria’s Neuberg Highlanders. 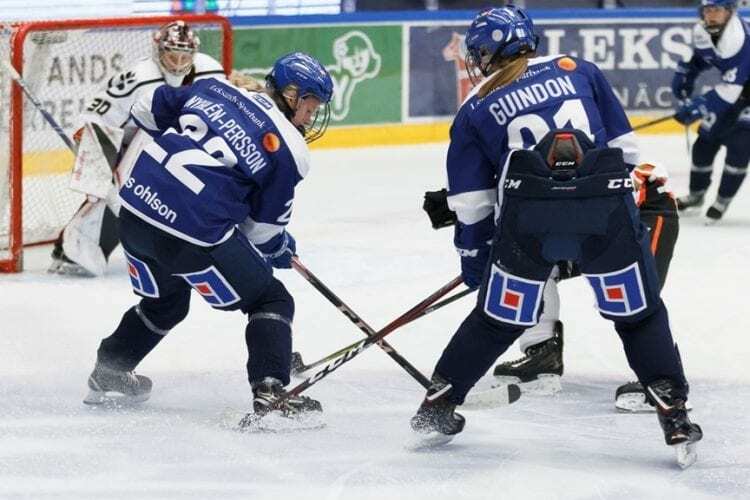 Recently completing her second season of pro hockey in Sweden, it also saw Guindon garb the paraphernalia of her second team. During the 2017-18 season, her inaugural sojourn in the professional ranks involved donning the colors of Goteborg, accumulating a total of 26 points, on the strength of 15 goals, in 36 games played. 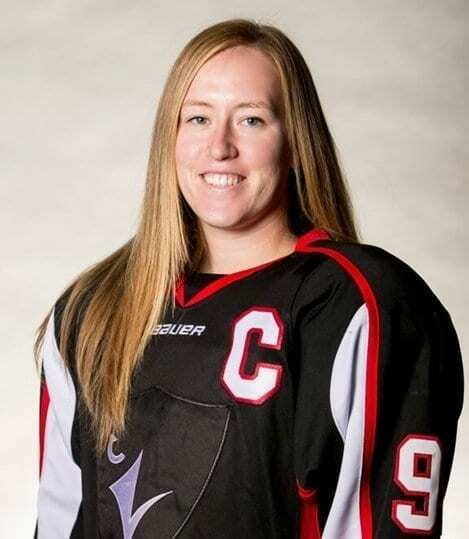 Guindon ranked second in team scoring while fellow Canadian, Genevieve (who skated at the NCAA level with the Clarkson Golden Knights) ranked first. Making the move to Leksands IF, part of the league’s upper echelon, it marked an upward trajectory for Guindon. Although her offensive production dipped slightly, logging 17 points, she still emerged as a strong contributor. Ranking among the top 10 in scoring, Guindon also enjoyed a major statistical improvement. This season saw a reduction in her penalty minutes, spending only 10 minutes in the box, displaying a very disciplined approach. As a side note, among the top 10 scorers on the club, only Emma Lind had fewer penalty minutes, logging four. Guindon also gained the opportunity to play Goteborg thrice, opposing her former team on October 20 and 28, plus a November 24 tilt. Of note, the first game versus Goteborg proved to be one defined by achievement. Enjoying a multi point game, she assisted on a pair of goals by fellow Canadian Danielle Stone, including the game winning tally in a convincing 5-0 final. Worth noting, Anna Borgqvist, who played for Sweden at the 2018 Winter Games was the other skater who logged both assists. Among four players from North American on the Leksands IF roster, Guindon was joined by Stone, an alum of the CWHL’s Calgary Inferno. Completing the group was a pair of alums from the University of North Dakota, Samantha Hanson and Gracen Hirschy. All collaborating to provide their club with a chance to be competitive, this fantastic foursome placed among the team’s top 10 in scoring. Adding a tremendous sense of relevance for Guindon in this breakthrough season was the opportunity to see a familiar face in the stands. Throughout her years at Carleton University, home ice advantage took on a richer meaning. Having grown up east of Ottawa, the regular attendance of family at Ravens’ home games was a luxury truly cherished. Among the other highlights of Guindon’s sensational season with Leksands IF also involved an opportunity to play in the postseason. As the last three seasons of her time with the Ravens involved missing the conference playoffs, while Goteborg did not qualify in the 2018 playoffs, Guindon’s desire to play for a championship, bringing a greater meaning to her solid regular seasons of on-ice effort, proved to be elusive.